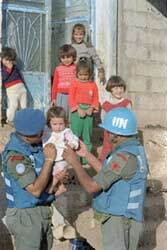 Lebanon has been rebuilding itself since the violent conflicts that erupted there at the end of the 20th century. The well-being of children has largely been undermined by these geopolitical circumstances, although it is slowly improving. Lebanon still has a long way to go to reach an ideal situation, with full protection of the rights of children. Almost 30% of the Lebanese population lives below the poverty line. Considerable social inequalities exist in this country, mostly because of the recent conflicts. For example, the top 5% of the population controls 95% of the wealth. Unfortunately, this level of poverty denies children their rights, notably by preventing them from attending school or forcing them to work before the legal age. About 10% of children in Lebanon do not attend school. For the others, the quality of education and of school buildings leaves much to be desired, in spite of the country’s recent efforts. Because of this, there is a gap between schooling and employment: many young people who finish school are unemployed and do not have access to more technical careers. The armed conflict at the end of the 20th century caused the destruction of numerous schools and had enormous repercussions on the quality of education in Lebanon. The country has not yet fully rebuilt itself, and the war caused damage which is still affecting the Lebanese educational system. The situation in Lebanon may not be the most serious in the region, but about 7% of children are still forced to work to help out their families. Many boys and young men work in agriculture, in metalworking, or in factories. The working conditions are harsh and inhumane, and the children work themselves to death for a paltry salary. 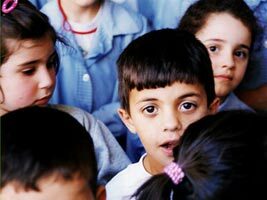 Lebanon has signed the ILO (International Labor Organization) Convention on Child Labor, but it has insufficient methods to enforce the text’s clauses and put them into law. During the war, many villages did not have access to potable water. Many NGOs have provided resources to help reestablish access to water, but some children in the most remote villages are still not guaranteed drinkable water. Also, the potable water provided by public works is insufficient. Lebanese must thus resort to private providers, for a fee. These circumstances are not in favor of children, who must make compromises if they want access to water: either work to help pay the private providers, or cut costs in other areas (food, recreation, etc.). On the subject of marriage:premature and forced marriages are common enough in Lebanon. Between 2000 and 2009, more than 10% of young Lebanese women said they had been married before the age of 18. Girls usually also do not have a say in the choice of their husbands. In Lebanon, the people showed their anger towards the previous government (and now show the same for the new regime) by taking violence to the streets. Children are especially affected by these riots, as many schools have been forced to close, and there is only a weak protection of children’s security. 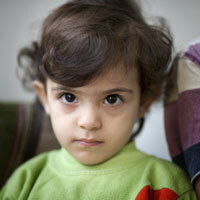 The conflicts centering on Lebanon have also led to the separation of many families. 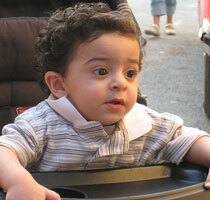 Some children find themselves alone, without any news of their relatives. Lebanon is also the victim of many terrorist attacks. Unfortunately, these attacks usually target public places and affect innocent children. Lebanon’s geographic location brings many Iraqi, Syrian, and Palestinian refugee families into the country. However, since Lebanon has not ratified the United Nations Convention Relating to the Status of Refugees, the rights of children in such situations are not very well protected. The majority of them live in extreme poverty. 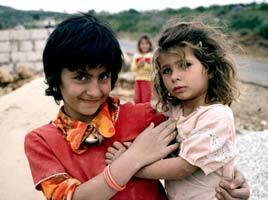 Refugee children are often employed by Lebanese to work in miserable conditions for a shamefully small sum of money. These children can also suffer from serious psychological problems because of the conflicts they have witnessed in their home countries, and Lebanon does not have the resources to address their trauma. In refugee camps, children often yield to the many dangers because of a lack of protection of their rights. Even if they do have access to school, many do not attend. Domestic violence is also common, and children often turn to drug use for comfort. In addition, health care access is minimal in these camps. Many NGOs exist to help Lebanese health care professionals, but this is far from enough. Sick children receive little or no care, and there is an abysmal lack of hygiene. Some Lebanese laws today still discriminate against women, and both women and girls have a different status than their male counterparts. Lebanon is working on putting some protective measures into place for women and granting some rights to girls, but as no law has yet succeeded in practice, the discrimination continues. The laws on nationality illustrates this divide perfectly: legally, only the father can pass down his nationality to his children. The mother cannot pass her Lebanese nationality on to her children. Discrimination against girls also exists in their right to expression. Their opinion is given in silence and barely counts for anything.